The largest selection of Honda-certified vehicles in Montreal is at Spinelli, your Honda dealership near downtown and in Vaudreuil! Buying a pre-owned Honda vehicle is already a guarantee of quality and reliability in itself, but by choosing a certified vehicle, one can be sure that it will be the cream of the crop of used Honda vehicles near Laval! Whatever your needs and your budget, we have the model that will meet your expectations. 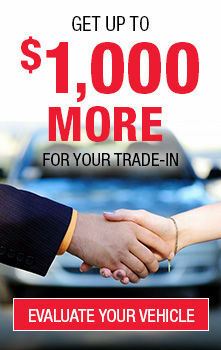 Find out about Spinelli Honda's most advantageous promotions and financing offers! We are located near the South Shore and Île Perrot. There are many reasons to buy one of our Honda-certified vehicles in Montreal. Here are a few. Before receiving the "Honda-Certified" seal, a vehicle undergoes a rigorous evaluation, including a study of its CarProof history to ensure that it has not been involved in any accident. It is then subjected to a rigorous inspection of 100 points and this as much on the mechanical as the aesthetic side. Our technicians will identify and repair vehicles as needed, using only genuine Honda parts. They will also ensure that the maintenance schedule is up to date. In this way, you can rest assured that your used Honda, near Laval, is in as good condition as if it had just left the assembly line! All Honda-certified vehicles in Montreal receive a 2 year/60,000 km Powertrain Extended Warranty, which may bring the total coverage to 7 years/160,000 km from the date of registration of the vehicle! Other benefits of the Honda-certified programme include a 7-day/1000 km exchange privilege, exceptional financing rates, and membership to the exclusive website of Honda owners. As you can see, you have everything to gain by visiting Spinelli and choosing one of our Honda-certified vehicles in Montreal, near Vaudreuil, Île Perrot and on the South Shore. Choose from our extensive inventory of models!